UPDATE 02/25/2019 After a while not upgrading my computer, I felt like it was due for a small change. I moved all of my parts from the Corsair SPEC-02 to the more-spacious NZXT H500. On top of that, I've added a 250GB Samsung 970 Evo for my boot drive/program location. I was going to get the 500 GB version, but they were out at the moment of purchase. Unfortunately, I didn't realize that the motherboard was relatively too old to "fully support" NVME. It works, but not at full speed. But, I do plan to upgrade my CPU, motherboard, and RAM certainly in the future, and the speed is already a delicious improvement, so there's no rush there. I already have a couple of tiny upgrades planned in a couple of months, but they are minor so I won't mention them yet. UPDATE 09/26/2016 New update, new upgrade. I have evolved Vulcan to a full-fledged gaming/streaming computer by adding the final piece of Exodia: the EVGA Geforce GTX 1080 FTW. It's actually overkill for my setup, for I mostly play in 1080p (and will only upgrade to 1440p in the future), but it feels great having this graphical horsepower whenever I need it. UPDATE 05/03/2016 After a couple of months after building this computer, I would say around February, I've decided to give it a nice upgrade. And, boy, does it feels great! I upgraded my G3258 to a i7-4790k clocked at 4.5GHz (partially thanks to the Hyper 212 EVO that I have also upgraded from the stock cooler). 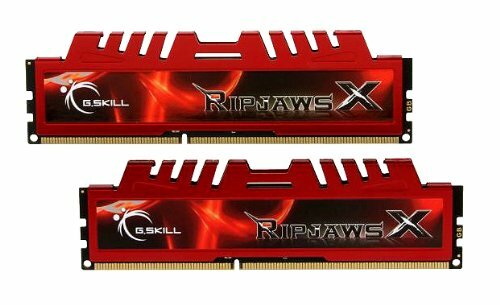 For the RAM, I just felt more comfortable having dual-channel 2x8GB sticks in red, so the G.Skill Ripjaws caught my eyes and I went with it. So far, this upgrade was well worth it. I'm calling it Vulcan 2.0, but it can still be called Vulcan. Hello, PCPP community and fellow PC Master Race brothers. I have recently joined this group in hopes of improving my PC knowledge and skills, as well as build my first rig, as the title suggests. Thanks to much planning and advice given from you guys, I have done so. So, here is my parts and a quick explanation for each. NOTE I guess I should mentioned this first about the prices of the components; they are only what they cost at the moment, not what I have purchased them at. I don't know how to change them from here, so the prices you are seeing are not what I spent. Sorry about that. Drawbacks of being new. CPU: At first, I thought of having a "budget", but I ended up just getting good parts that are compatible and affordable for me. After seeing what this little processor can do for a low price, I had to have it as my first CPU. 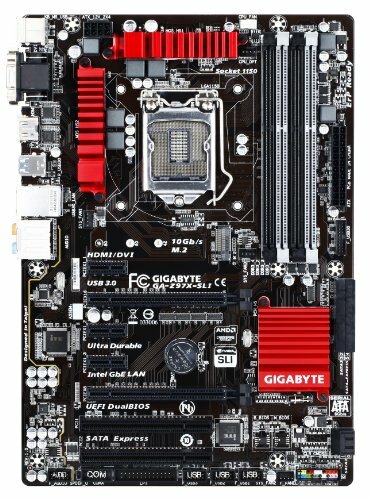 Motherboard: I chose the motherboard after the CPU mainly to have good compatibility. Remember, it is my first build EVER and my knowledge of computer parts are quite limited. I know I could have gone with a cheaper motherboard, and maybe even a smaller form factor, but this one was red, which is what I want the overall color to be. Memory: This was just a regular choice from what I have previously seen in the past, in terms of performance. (If I had known at the time that 2x4GB was better than 1x8GB, I would have bought the kit, but alas, I didn't. No worries. I will upgrade in the future. 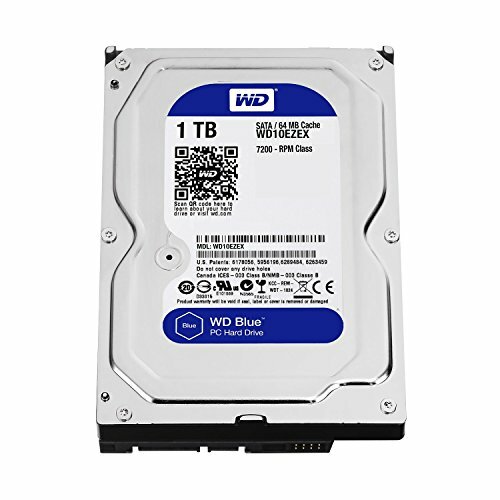 Storage: I am using this drive purely as a boot drive, and MAYBE slight storage. This does fine for me. Video Card: NOW, FOR THE VIDEO CARD! OH, the video card! Some of you may or may not believe my small story, but I am proud. I understand that there were probably better choices out there that cost way less AND performs ONLY slightly less than this one, such as the R7 260X, apparently. I got this because at the time of purchase, a new R7 265 was $130, kind of pricey for me, but I got mine off eBay for $69! It also works perfectly, so I am NOT complaining. Case: This was a regular choice. I liked the look and it had what I need. It was a little tight on cable management, but that was not the case's fault; it was more the power supply's fault and my own. Power Supply: Speaking of the power supply, I have made a mistake. I thought I was getting the modular power supply, but I misread something and ended up getting the non-modular one. So, because of the extra, "un-unplugable" wires, I had less space to fit them all on the back of the case. So, like I said. Not the case's fault. My fault. Either way, I made it work, so I'm not pouting. I will DEFINITELY upgrade in the future to a semi-modular one though. Operating System: As I mentioned earlier in the post, the price is not correct. I chose this Windows 7 because my school was offering it to me for FREE. So, I actually didn't pay for the OS. Pretty neat in my opinion. Case Fan: I also mentioned earlier, I think, that I wanted the build color to be red, my favorite color, so I got these case fans to help with the aesthetics. So, these are all the parts, and I am now running a new, healthy PC in my bedroom, with my TV as a monitor...because I don't have much space. I have already played a few games, and they render beautifully! I am proud. So, please: leave all of your opinions and comments about what you think, and ANY feedback would definitely be appreciated. Also, as I said, I will upgrade in the distant future, so any recommendation on what to add or change will also be extremely valuable to me. I got it mainly for the overclocking ability and the red/black aesthetic, as well as the ATX form factor. This is the perfect motherboard for me, and the stability feature is very reassuring for me. I have heard plenty of rumors and reviews on how this SSD quickly degrades in performance, but I have never been more proud with previous boot times and consistency as this SSD has made me. I see NO performance drops, and even if I do, it might not even be that drastic. But, that's just me. If I were you, I would've opted for a different SSD and power supply due to the quality of those two. You should overclock the g3258, I'm sure you could hit 4.2 ghz on stock. Nice build! What is so bad about the SSD? If you want to boot a bit faster for under 50 dollars? The controller the V300 has makes the SSD's performance slower as you add more files to the drive. No, Kingston switched the controller to an unbranded controller, LinusTechTips has a few videos where he mentions this. You've made quite a few mistakes. Firstly, you're PSU isn't very reliable. Corsair used cheap capacitors for the CX PSU's. Secondly, that SSD is bad. It's very slow for even that price. Thirdly, you wasted your money on that MOBO. You could've gotten a cheap H81 motherboard which would still been able to OC the G3258 with a little bios update. But the ability to OC in the future, if you upgrade to an unlocked i5 or i7, is nice. Otherwise, you're fine. I am not sure where you stand with respect to the Motherboard. Are you saying it is a good purchase should he decide to upgrade to an unlocked i5 or i7? as far a PSU is concerned, do you have a suggestion for the current build? 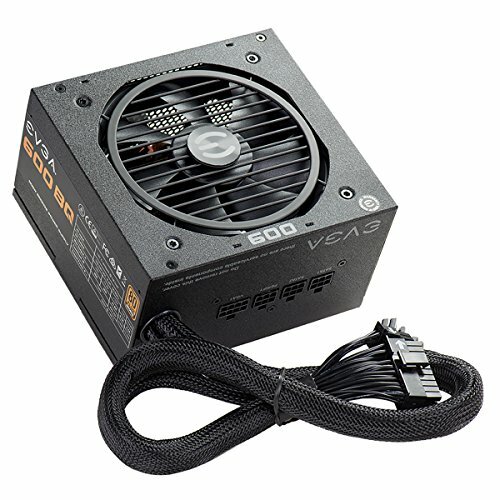 Is 600W too much? 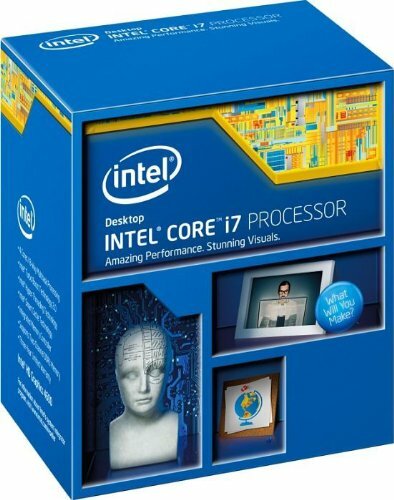 What CPU cooler do you suggest for this CPU for overclocking or is one not needed? In an attempt to be helpful to the folks reading this I was hoping for some supported comments. The CPU cooler (heatsink/ fan) is the stock one which is usually quite reliable but will it suffice in an overclocking scenario? I overclocked to 4.0 with no problem. I chose 4.0 instead of a higher clock just so I can have plenty of headroom. Yeah, if he plans on upgrading to a k series CPU, then it's a good purchase. No wattage is to much, only cost. He should've gotten a PSU from EVGA's B, GS,G1, or G2 series. He could reach 4 GHZ with the stock cooler so he doesn't really need an aftermarket cooler. Yeah, I understand the situation with the PSU, but I have been using it for a bit now, I have had no problems. I have successfully overclocked it to 4.0, and I may overclock it even more in the future; I am taking it easy on overclocking. As for the solid state drive, I am perfectly happy with the speed it is giving me at the moment. It's much faster than what I used to have, and it's good enough for me. Also, with the motherboard, I said that it was the only one that I could find with a red color at the cheapest price possible. No regrets cuz I am happy with it. Sure it's been working for you fine for now. But it's more likely that it'll fail on you in the future than many other PSU's. It's nice to know that you're not disappointed with the SSD, but I'm just saying that you could've gotten a better one for the same price. Nice job! We shall consider you a candidate for the PC master race. JK, you made it. And the Pentium is a champion now. :D Cable management needs a little work. Have fun! Yeah, sorry. I did do some cable management but I forgot to take a picture of it. I think it looks pretty good. Okay! Post it!! We want to see!! So let me get this straight, you bought a GTX 1080 for $69? How in the hell? No, that was the R7 265 that I got for $69. I paid full price for the 1080.